Forgive my lack of awkwards and awesomes today friends. I'm gonna be honest and tell ya that it's cause I wore an old yellow sweatshirt with stains on it alllllll dayyyy longgg. and taking pictures of that would've been dumb. It's finals week you know. hooray! finals! and hooray for ramen every night and taxes and to-do lists that make me want to pull the covers back over my head! yaaaaay! so awesome! anyway. i've been thinking a lot about this little bloggy of mine. what I want to do with it and what I want to stop doing with it. Things that you've said and things that I've been thinking about for a while. There'll be some changes ... for the better I think. Maybe take this puppy in more of a lifestyle with some clothes on the side direction, like I originally did. I liked it better then. But hey ... you're my lovas. Oh, and good luck on your finals! Do good and be good to yourself. I think that's a great idea. Your outfit posts are always amazing and so inspirational so I know that hearing about your interests in all areas of life would be phenomenal as well! PIECE OF CAKE. PEACE OF MIND. Pretty sure you could type up the phone book and I would still read it. Whichever direction you take it in I KNOW we will all still love ya! I'm liking your new idea although I absolutely want to keep seeing your adorable outfits. I'm excited for you Sydney! do what you enjoy, miss. it has to be fun or it's just not worth it! Good luck on finals and everything! Go for it. Even though you have an aaamaaazing style mostly just stalk you cause your funny and interesting. Sydney I thought about this for my blog for a long time, what do I want to do with it? ITS YOUR BLOG and obviously people LOVE IT! they will read even if you listed all the food you ate for every day.. and that was it. people are drawn to your blog because of you! I think you should do whatever makes you happy. Write about what you want to write about. I love that idea [lifestyle with some clothes on the side]. It will allow you to be MORE creative, I think. Or at least show more sides of your creativity. I agree - I always enjoyed reading your blog more when it was filled with crazy Sydney antics and not so much promotion. BUT I think you're great nonetheless and you could blog about government conspiracy theories and I'd still love reading you Haha. It's YOUR blog. Do what YOU want. i'm a fan of it. Lifestyle + Outfits do your thang girl..I love the modest fashion inspiration, but what reels in a long term reader is the lifestyle elements in a blog the "you" that makes it unique. I'm by no means a stylist, but I do love pretty things - I'm a photographer, I appreciate conscious art and conscious minds..so I share it on my blog (Peace-Nopales)with the mix of updates from(Our)life. The more about "US" I throw up the more new readers flock. but please don't stop all of your style posts because they are so inspirational and amazing!!!!! I love your writing style but love the pics 2 very much even!! So I would love it if you would still to the outfits pretty often but would love the hear other things about you..
To be honest, there are fashion blogs I read that I just skip when they start talking about their lives. That being said (and I was thinking this when you posted the pics of your hubby holding the babe) you are the number one fashion blogger I would love to see more lifestyle posts from. I'm excited for what is to come! Obviously clothes are a big part of your life...I mean you wear them everyday :oP But I fully support the switch to a lifestyle blog. I already enjoy the "lifestyle" pieces you post now so more of it would be just fine in my book. Thanks for this post Sydney! At the end of the day most are right, this is YOUR blog and you should do what you like best. As for my two cents, I love your outfit posts/hairstyle advice/make up advice. Reading magazines and more conventional fashion media outlets don't cut it because I think they are rarely relatable - most of their fashion suggestions involve $200+ pieces that us girls really can't afford for everyday. The reason why I loved your blog because you inspired your readers to think creatively about our everyday fashion in a way that was achievable for most and fun! I love fashion the best. Yours is my favourite FASHION blog so I'd love love love you to keep it fashion!!! While i love fashion...I also prefer lifestyle, a little food, a little home, a little family and friends and ahhh...there you have the perfect blog...as a new follower, i am eager to see what becomes of "the daybook!" looking forward to the change. I think this is a great idea! You are a hoot and while the clothes and such are nice to see and hear about, I think your stories and your fun outlook are what brings me back each day as well as the rest of your readers. Do what you love girl! that is all that matters. i say lifestyle and some clothes... cut down on the fashion(but not cut it out completely, because you are oh-so stylish!)... and while i understand the purpose of sponsors and such, a little more sydney and a little less sponsors would be good. talk about things that you love and things that inspire you. please dont lose the a&a thursdays though. you are funny, and thats one thing i love about your blog is the humor... i also love reading the blogs about you and husband. being a newlywed myself, i love to see healthy, happy couples... how about somehow incorporating more of that? date ideas and such? just some thoughts! I agree. I am a fairly recent reader and I enjoy your archives a lot and wish you wrote more like that now. Change is always good..what do you have in mind? I'm so interested in how you got so many followers. Any secrets or tips? Hope you did well on your finals. Girl, you do what you want to do. You own your blog - not we the readers. You started it to make you happy...the readers showed up of their own accord! I am with you on lifestyle with a bit of clothes on the side!!! I hope you're not too stressed out and hopefully the week ends well for you & you can enjoy the weekend! i like the lifestyle with some clothes idea. you're cute- we wanna hear more about you! if that includes fancy clothes, cool. if it includes stained yellow sweatshirts, that's cool too. I definitely miss your old blog and tutorials! I read your blog because I love what you have to say. It is funny, real, and relatable. Sure-the pics are adorable, but that is not what keeps me coming back. Write what you want to write about, that's the only way you are going to continue to have a passion for this blog of yours. Love, E.
I think that is a great idea. I think the 'what I wore' thing is pretty well across the board in the blogging world now, so it doesn't feel as 'special.' Not to mention it is so great to read unique content - it adds value. With that said, I would still love, love to see your outfits and hear about fashion-fun. I also think re-visiting WHY you focus on fashion would be great too. I was a new reader about two months ago, and going back to read about the book that inspired you, and your quest for personal fashion really added context and character. Good Luck with finals girl! Make sure to drink lots of water with that Ramen to flush all that salt out of your system! I'm sure whatever direction you decide to head with the blog will be fabulous - you have to do what you love! Syd, I think you could show us pictures of you doing taxes and eating ramen and we would still read and love it. Do whatever the heck you have more fun and passion for. That way you won't burn out. Readers can always sense when you love what you do! Looking forward to being a continued reader no matter what! iirc i think you did a survey on this towards the end of last year and i voted that i would like more lifestyle posts. a blog i adore adore is naomi at the rockstar diaries. she has killer fashion sense but she never posts about fashion. i can still get inspired by looking at someone and personally i think when people post where to buy stuff it just inspires copycats. look at pics, be inspired to replicate it yourself, not imitate it. and i love you but i haven't been coming over as much my dear because it has been very sponsor heavy. i get you need to make a living and i think you are trying to learn the balance since you are new to it but we are losing the "real you" on this side. whatever you decide though, your bloggie, your decision. good luck! Love that photo! I want it too. Oooo exciting about the changes. I'm all for it. In my experience, change is good. Love today! I love your outfits and get so much inspiration from them, but I also love the personal stuff. Frankly, it's your blog so you get to do what you want with it. My own blog started as personal, went to style and then became more of mixture because that's how I preferred it. So go personal if that's what you want! I think you need to do what makes you happy! That's the best thing for a blog in my opinion! Good luck with all your exams!! I was seriously just thinking a couple days ago that I missed the old blog...I started reading a lonnggggg time ago and it just became a fun little escape like you and Tyson we my long distance friends:) Personally I miss that! Blog about what you love and forget the readers - do it for yourself and your enthusiasm will shine through. At least that's what I believe. Yeah!!! Love reading your older posts...thats what drew me in! i'm totally with you. i couldn't commit to doing a fashion blog because i just would get so sick of it - i am impressed by the people who do it for the long term - but i also love those that mix it up! so yes! give us some lifestyle! i completely agree. you're a busy woman and putting outfits together everyday can be quite exhausting. yuuuuuup, lifestyle, please. i vote that over fashion (although your outfits are always fun to admire). I would love some more lifestyle as well as keeping some fashion posts in the mix. Hope you can have some restful and peaceful moments among the busyness! I am right there with ya! I totally agree with everyone who says write about what you want because it is your blog. Very true, and those of us who love you for more than your outfits will still be here reading. I admit that I always LOVE stopping by to see what you are wearing but I have stuck around every day, this long because of your "voice" and the way you write your posts. That is what keeps me captivated. Of course, I hope there will still be some inspiring-outfits from time to time, but as long as the Sydney voice doesn't leave, neither will I.
Oh and I REAAAAAAALLY hope awkward and awesome Thursdays doesn't disappear because I LOVE that more than any other blogger feature. But I do really enjoy your fashion posts... I find them very inspirational because your style is so fun and put together. But I'll still read no matter what you post. I love reading your blog --- the style of it, your style, the content, your stories, I could go on! So I think that I would still like reading it if it had more "lifestyle" posts and less "clothes" posts. I just love the easy way that you let your personality out there. So, however you want your great little blog to be is fine with me! I have a lifestyle blog and just started incorporating fashion posts as well, but I actually just yesterday wrote a post about why people read blogs and how lifestyle blogs are my favorite. I could never write posts primarily about only one thing. Outfit posts are the best! Such inspiration! i think you are adorable, stylish, and have some funny life experiences. pretty sure whatever change you make, i will still be a reader. but, we obviously all read you either way! I love seeing your outfit posts! But would also like to know more about your life too!!! :) Maybe 50/50? so basically eeeeeeveryone thinks you're awesome and making a great decision (as do I)! You are SO SO SO funny and I love your life content-- like to where I get a little bummed if I don't see a post from you for the day. I guess on the business side of it, I'd say that promos work best when you're simply wearing something, it looks good, and it's a "courtesy of" item. I almost never click if it's a giveaway, though. I recently just started to follow your blog, and I love it! I think that your outfits are amazing, and they are an inspiration to everyone so as long as you keep those cute outfits coming, you will gain more followers willing to see what you will wear next! I started a blog three days ago because your blog inspired me, and I love it! i agree with almost everyone else - do what ya want! but, truthfully, i would love to see your blog go more lifestyle! sweet! I absolutely LOVE seeing your outfits, but I would also love to see your blog take a more lifestyle approach as well. I think if there's not much about life, we don't feel as connected with the blogs we read. I would love to get to know you better and feel more connected through your clothes and about your life and adventures. Do what you want, but if you're feeling you should change something, then that means you probably should. Everyone will support you. I miss you, feel like you've been a bit "absent" lately!! Blog for you...not for everyone else :) Less pressure and you end up happier! I love seeing the outfits you put together and hearing about what is going on in your life... I think it has great balance, but I am sure a lot of us readers would love to hear more about what is going on in your life and maybe even some of your photography? But like everyone else said, it's your blog, even you don't love it, then change it!!! I agree with you, I liked it better before too =). Your words are fun to read, I miss them. But either way, you're adorable! i agree along with everyone else, it seems... i loved the blog before, when i could read some real life stuff- cause i'll be honest, there's no way i could dress like you- one, you have a rockin' bod and i have a 6 week old, and 2, i live on med student loans right now, so i get super jealous of all your cute clothes. but your style is inspiring, so i don't want it all gone! love the blog! P.S. are you going to update us on the move to DC? A little bit ago you said it might not be happening anymore..?? I always start reading blogs from past to present, it helps me get a feel for what the blog is all about... and your archives hooked me! The style of your writing is so relatable and the humor is top par. I say go with the lifestyle theme and maybe have a day or two or three of fashion posts? Those are my $0.02, do what you feel is best! I vote lifestyle and some clothing. I do love your style, but I subscribed to you for your "voice" and what you write more so. I can look at clothing on lots of sites, but I think what you write and the personality that comes through is what keeps people coming back. Agreed. I'm sure there's a lot of pressure to make sure you get shots of you and your outfits on a daily basis, and though great, I can imagine that to be tiresome...eh? So, there ya have it. =) Good luck! I love lifestyle with clothes on the side blogs. They always seem more real. But you're adorable either way! Just re-affirming what just about everyone in the world thinks. We love YOU, you offer inspiration in more than just the clothes department. I have loved following your blog! Yeah girl! I would love that, and we'll love you no matter what. Go for it. I think anything that makes you happy with your blog is the way to go. I love your outfit posts because you're so darn cute and I love how you write about your day and your life with your hubby as well. What are you studying? What's going on with school and such? I love to know more about people's lives and I think that's what brought me here, your humorous way of sharing your thoughts. Sometimes I feel like I need this too. Just a little healthy and happy reminder of the "Greats" we have in our life. i check your blog daily for my daily dose of fashion. i'd be lying if i sad i am not a bit sad when there is no daily outfit. I loooove your outfits, keep 'em coming! along with your personal posts which are really fun to read. I absolutely love your style and your outfit posts, but this is your blog and you've got to do what works for you. I can only imagine the time it takes to capture those outfits and if not doing it so much helps you out more, than by all means, do it! I read your blog for the outfits. It's inspired me to revamp my wardrobe and work with what I have. Well I must say I LOVE your blog!! It is always filled with fun outfits and fun energy. I love blogging about all things food, fashion, and marriage and find that it keeps me always thinkings of ideas. Maybe if you cover more things like you said you did in the beginning you won't feel so BLAH!! But thank being said you're doing amazing in my books!! Happy finals week!!! And ramen is the best!!! I adore your style - but it's always fun to read more about you :) perhaps a balance of both! I'm sure I'll continue loving it no matter what! Love the idea! Do whatever makes you happy! yes! I want more you and less giveaways!!! I've asked the same, what am I doing with my blog, question so many times that at this point I've just kind of put it on hold because it started becoming another chore. Figure out what you enjoy the most and do that or at some point it won't be fun anymore. More you and outfits. Less giveaways. 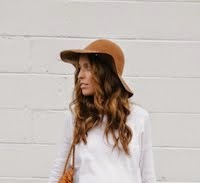 I just started following your blog yesterday and I'm in love with it and your style already. Too soon? Good luck with your decision! I loved it when it was less about giveaways and names and more about sydney and her fabulous style and more than awesome adventurous! A college girl married and doing amazing things. This blog should be your creative outlet...do what you want! If you want to throw in some lifestyle then everyone will be on board. I'm a fashion designer and just started a blog and I thought all those questions before I dove in... which was, like, a month ago. Clothes only? Clothes and more? It started making me feel like I put myself into a "blog-box"...I'm going to patten that term later. I'm just going to do what my little heart feels like it because I want to enjoy wherever it goes. We're all here for your qwirky personality and witty writing. Not for your looks :) Though they are fabulous! Yes lifestyle bits as well as clothes would be great!! But keep the cute quirky outfits coming! Ummm and by patten I mean patent. That's all. I swear I'm smart. I remember reading your ENTIRE blog in 2 days, because I couldn't get over how mature, adorable, and happy you & tyson were. A lot of your posts helped me calm down, and appreciate life. I personally like more clothes because I love getting outfit ideas, but I think a blog should fulfill the blogger first and foremost. You do whatchu you want girl. Live it up...it's your life. Your blog. The more YOU enjoy doing it, the more WE will enjoy reading it. I will admit I have been a bit um, bored, maybe? with some of the latest posts. I don't want to sound like a jerk though! Ooopps too late....I still love you though! I think you should take this blog in whichever direction you feel most passionate about! I love your life posts just as much as your outfit posts. If you will be happier taking it back to the lifestyle approach, your readers will absolutely pick up on that and support you in whatever you do! You are so funny, beautiful and inpsiring, Sydney - and if you blog about what you love that is never going to change! To be honest, I think the new outfit everyday is what keeps people coming back (readers and sponsors). I could see how it gets old though too. Maybe an outfit 3 days a week? If you change your format and people dont expect to see something new and exciting everyday it might make your readership drop? I'm no expert but just thinking. Then again the rockstar diaries has a huge following and she just blogs about her life. I love the idea of "lifestyle with some cloths on the side"! I seriously do love your blog. Like seriously.... But... I haven't been reading as much as I used to because I've started to feel like it seems a little distant and less relateable than it used to be. I think if you stay true to yourself and what you want from your blog, then readers will stay with you. When you write what you love and what YOU want to write, it's fun to read. Like others said, if you wanted to write the dictionary or phonebook or whatever out... like REALLY that's what YOU wanted to do... you'd make it fabulous. Totally agree with you on this one! I love your blog and i love how fun your posts are! don't let yourself loose track of why you created it in the first place! I adore your outfits, but your blog is one of the few dailies that I read every word of every day. So, I'd love to hear more about your interests and life! You go girl, follow your heart! I prefer a combination of lifestyle and clothes!!! You are a great blogger and a wonderful person.. I'm sure whatever you do will be incredible. I'm also really happy that you're doing what you want to do, not what others want from you. I have just recently discovered this blog and think that you have a great voice. If it's not fun, why do it? I wish you all the best! Oh yes yes yes! I think that's a fantastic idea :) Or rather, whatever makes you happy! Lifestyle is always great; it lets people get to know you better. And you can control that. It's great. Personally, yours is my favorite fashion blog, so I LOVE looking at your outfit pics. But I really love your "lifestyle" posts...some of my favorites have been the date ideas/ways to tell your man you love him ones. So cute! I love your writing style and would probably follow you anywhere... Off a building? OK! I agree with so much of what has already been said; lately, I don't feel as though we've seen the real you (though most of us have never even met you, of course!). I really hope you'll decide to go in the direction with your blog that YOU want to go in...you gained many followers because you were YOU! I loved your site back when it was a little more you with clothes on the side. And while I totally love that you are getting paid for providing us with some funny tidbits from your day, I must say that I liked your outfit posts a little more when you were wearing Gap/ Old Navy type clothes. I felt like it was something I could achieve and so a little more inspirational. While I love the new looks, the pieces are just out of my price range. Glad you are getting sponsors, but miss the cute, inexpensive outfits. such a great reminder to be thankful!!! I love your blog and your outfit posts!! Take the blog where you feel led sydney...we still all be here!! My favorite posts are the ones that are a little more personal, less "business" (sponsors, giveaways). I love the inexpensive pieces mixed in with some of your newer finds (i.e. you introduced me to YesStyle and I got some great items!). It's funny you mention this because I'm fairly new to the blogging world and had a tough time deciding what I wanted my style to be... but I think at the end of the day your blog is allowed to evolve and change to fit who you are at the moment and whatever feels right for you. I love your blog now but can't wait to see how it changes! jb. You should do what makes you happy, girl! Love the lifestyle and fashion, so both seems even more fun that fashion alone ! Totally. Do what you love. I would like that saying framed and in my office! I liked it back in the day more. so I think lifestyle is good. Also I like life so I want to know about life. I mean I do like clothes and all but I like clothes that are 10 years old and constantly having you post c/o clothes is a ton of what I won't have so not as cool. thanks for the comment on my blog! my brother is my biggest supporter and he encourages everyone he sees to read it. i'm a lucky gal since i'm a lazy commenter. and i say make your blog exactly what you want. mine is commentary with a side of outfits and that works for me. good luck. Just discovered your blog via A Cup Of Jo..love it!! I love the personal side of the blog, but also LOVE your outfit posts. You always give me such great ideas on how to pair everyday items to look extra fabulous. I think you should blog about what you truly want, but please add a few outfit posts in :). I say follow your gut! If you've had the urge to make some changes, it's likely for a reason. Whatever you choose to do, I know it will be lovely! I can't wait! two pictures from the day I met husband. and now for today's magic trick! all content is © 2009-2018 the daybook. all rights reserved. please do not take images or content from this site without written permission.